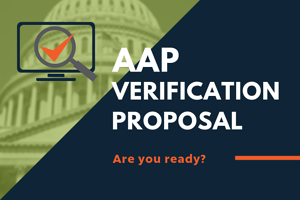 OFCCP AAP Verification Proposal Coming Soon—Are You Ready? At a town hall for the financial industry this week, the Office of Federal Contract Compliance Programs (“OFCCP”) announced that it would soon be releasing a proposal regarding a new affirmative action plan (AAP) verification program. OFCCP officials stated that the agency would issue a proposed information collection request (ICR) in the next few weeks that would allow it to begin asking federal contractors and subcontractors to submit annual documentation demonstrating that timely annual AAPs have been prepared for all establishments. The agency’s comments during the town hall made clear that the OFCCP did not intend to rely on the compliance certifications contractors make under the federal System for Award Management (SAM) procurement database, as other vendors had previously reported. Instead, OFCCP officials stated the proposed ICR would permit the “collection of AAPs per a portal” directly to the OFCCP. No further details about what contractors would be required to upload was provided at the town hall so contractors should review the ICR when it is released and provide feedback to the agency about the proposal before it is finalized. Interested stakeholders always have 60 days to provide written comments on any ICR, and OFCCP stated that a 60-day comment period would be part of its process. Berkshire is monitoring this new development and will provide updates as we learn them. 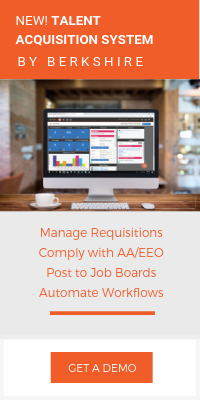 However, all contractors should proactively review their AAP project timelines to ensure they are preparing annual affirmative action plans covering all employees on a timely basis. Based on the agency’s comments at the town hall, contractors may be required to certify compliance before the end of 2019. Subscribe to this blog and stay tuned for more information in the coming weeks!